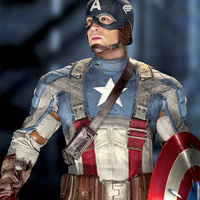 World War II soldier Steve Rogers volunteers for a military experiment that transforms him into a superhero. He uses his newfound abilities to protect America from the villianous Red Skull. Rated: PG-13.